In our last ‘drone’ blog, we explored “The Good, The Bad, and The Ugly of Regulation”. 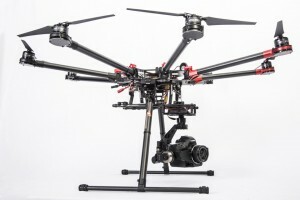 As you may have read, the aerial videography and drone industries have grown substantially in the last few years. 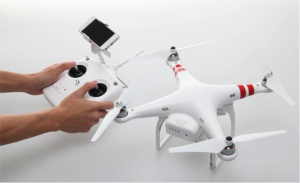 It can be difficult to keep up with changing rules regarding the operation of drones. Even more difficult can be learning to fly the damn-things. 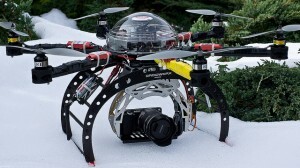 Several drone manufacturers are building user friendly models that nearly anyone can operate. These machines incorporate sophisticated flight technology that makes their products safe and reliable. 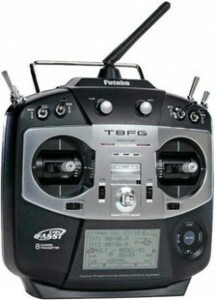 Because it is so easy to get your hand on one of these quad-copters (the only thing that might stop you is the price), even inexperienced and incompetent pilots feel at ease when flying. The false sense of security that quickly develops from the crutch of technology will lead most beginners to crash their copters early and often while learning. Many beginners make the mistake of flying over public places or bodies of water, both of which can cause serious problems. Flying a drone is a constant battle; you have to keep track of where the drone is in the air, where it is in relation to surrounding obstacles, and the control inputs required to get the shot you want, all at the same time. It takes multi tasking to a whole new level. One New York Times journalist who crashed two drones in the span of a week said, “flying a drone is really, really difficult. It’s like backing up an eighteen-wheeler in a blind alley, or landing a Boeing 747 in a crosswind.” While this particular pilot was never lulled into the false sense of security that most are, it does go to show the risks and dangers any new pilot faces. Because we are located in San Diego, there are many requests and opportunities to fly over water. This is more risky and more dangerous than flying over land for many reasons. It is one of the more foolish things one can do before being ready. There are a few important things to know/think about when flying over a body of water. First, when flying over water, altitude is your friend. Unless you are flying in a harbor, there generally aren’t any obstacles to think about when flying over water, except for the water itself. The reason why altitude is your friend is because the one thing you want to avoid doing is getting too low. Make a mistake when you’re flying close to the water, and the drone will be going for a swim. The key to a successful piloting career is to not panic. It’s inevitable that at one point or another things will go wrong. But by staying calm and working through it, your chances of avoiding a crash are much greater. The second thing to pay attention to is one of the easiest to keep track of. When flying over water, it is strongly suggested that you land your copter before the battery gets below 11.1v. Not letting your voltage get too low is important because it could cause the copter to descend without warning, and if you’re too far from where you took off, your copter will hit the water (or land) before it gets back to you. Essentially, leaving plenty of battery to get back home could help you avoid a close call. Another thing to keep in mind when flying over water is wind. Wind is your biggest foe when flying, it’s the only thing keeping your copter from staying in one place. When flying for the first time, try to do it at either dusk or dawn when there is the least amount of wind. This way you don’t have to add another variable to the list of things to concentrate on wile flying. You will also want to avoid rapid stick movements, that way you don’t risk an overcorrection. By flying slower and not ‘stick banging’ you decrease the risk of a crash due to pilot error. If you do decide to operate a drone over water, the only other precautionary measure we recommend is to install a flotation device. This means either putting foam on the bottom of your copter, or zip-tying a compact device that auto inflates upon contact with water such as this. This will make sure that in the worst-case scenario, you can still retrieve your drone after a splashdown. 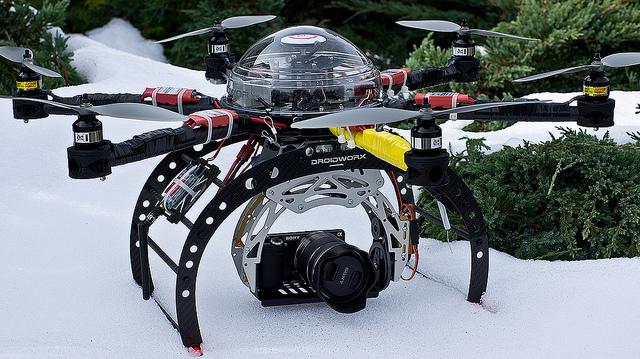 We hope you have enjoyed this series on drones. By keeping informed with future rulings regarding drone use and following these tips and tricks, you’ll keep yourself out of all sorts of trouble. Nice and detailed guide, definitely would suggest staying calming when learning how to fly, without sudden movements.